Hi, my name is Calum Wilson and I am a Strength and Rehab Coach and Studio Pilates Instructor at Complete Sports Care. I have completed a Bachelor of Exercise and Sport Science, and worked in various settings and with a broad range of people. I have a great deal of experience to suit any client. 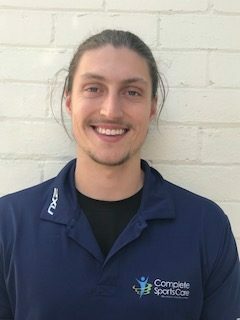 I currently work with the Frankston Dolphins (VFL) as the strength and conditioning coach, and formally with the Oakleigh Chargers (TAC Cup), focusing on developing highly talented junior athletes. Along with this, I teach reformer Pilates classes and a personal trainer in a gym.